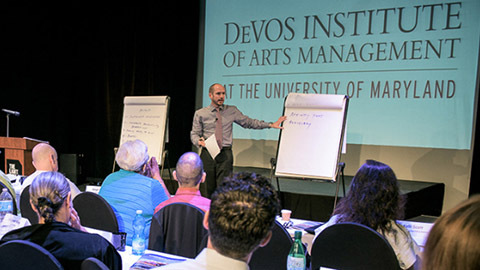 The Institute’s fellowship program is offered free of charge to arts managers from across the United States and around the world who are selected through a competitive application process. These fellows attend a four-week program in residence at the University of Maryland each spring for three consecutive years. Interested candidates are asked to submit a brief Letter of Intent using the online form no later than December 15, 2017. CLICK HERE to read more about how the fellowship has empowered arts managers worldwide.